This 1897 Queen Anne corner store was originally built for the Hermes Bakery, with a residence above for the family. It later became Gottlieb’s Bakery in 1929 until the business closed in 1985. The building experienced several alterations and additions over the years, which a recent rehabilitation worked to reverse. All non-historic alterations and materials were removed and original features were restored or replicated. Aluminum siding was removed, revealing the original second story porch which was replaced. The metal roof was also fully restored. On the interior, the plaster, floors and tin metal ceiling were restored. The completed project now features a commercial store on the ground floor with renovated apartment space above. 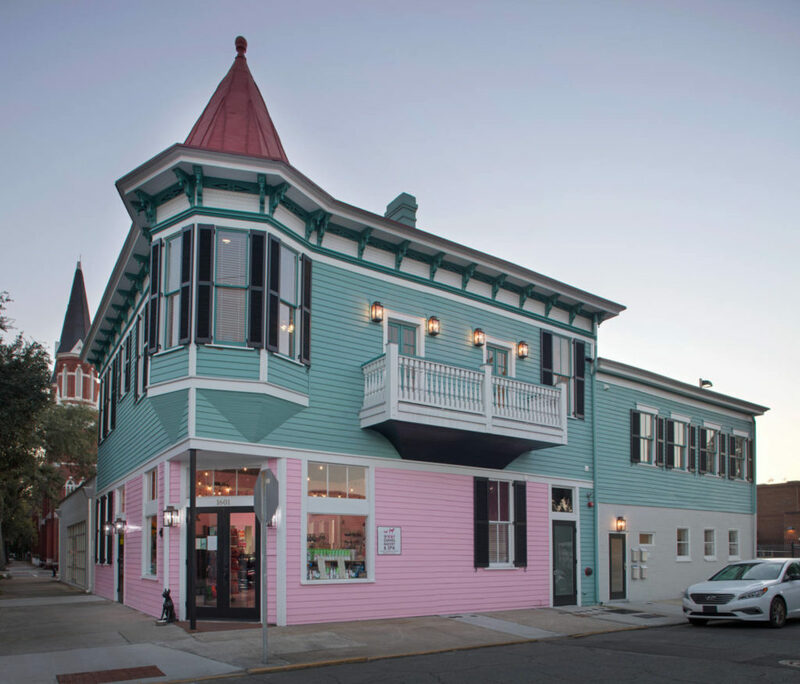 Excellence in Rehabilitation Awards recognize projects that make compatible use of a building through repair, alterations or additions while preserving features of the property that convey its historic value. © Copyright 2019. The Georgia Trust. All Rights Reserved.